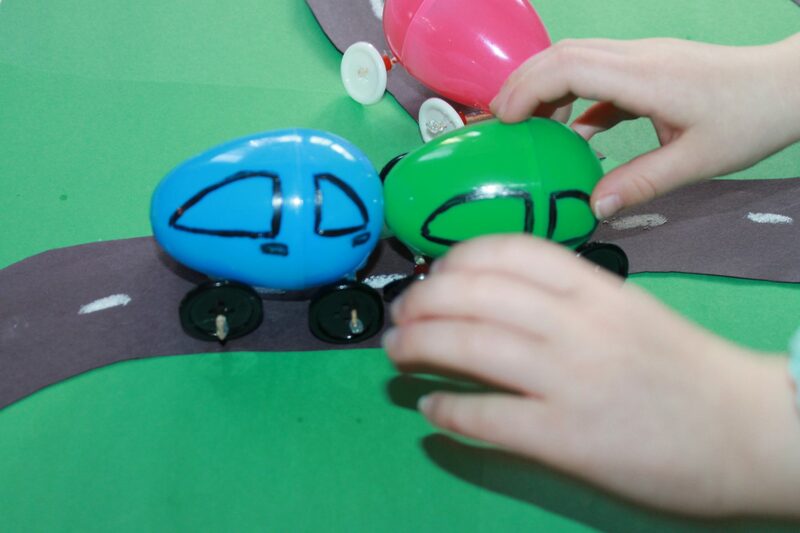 We decided to make little egg cars. Here is how. 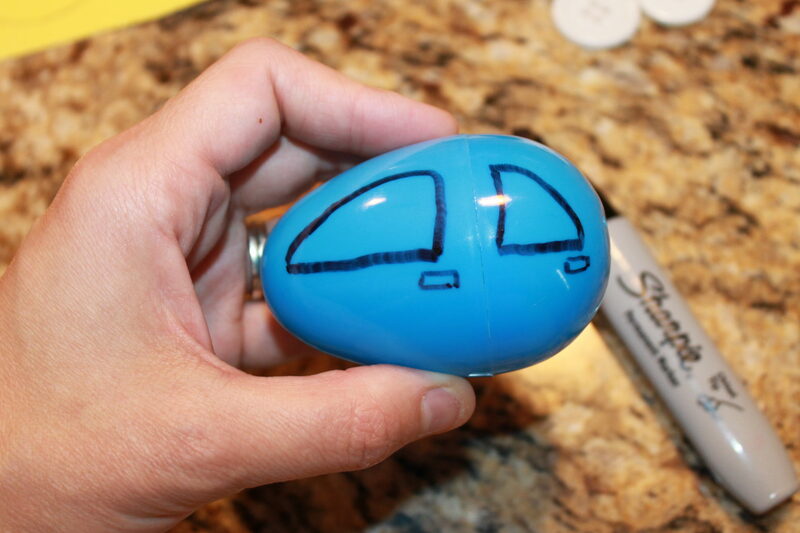 Draw a simple car design on the egg with a Sharpie. You can do this next step in a few different ways. 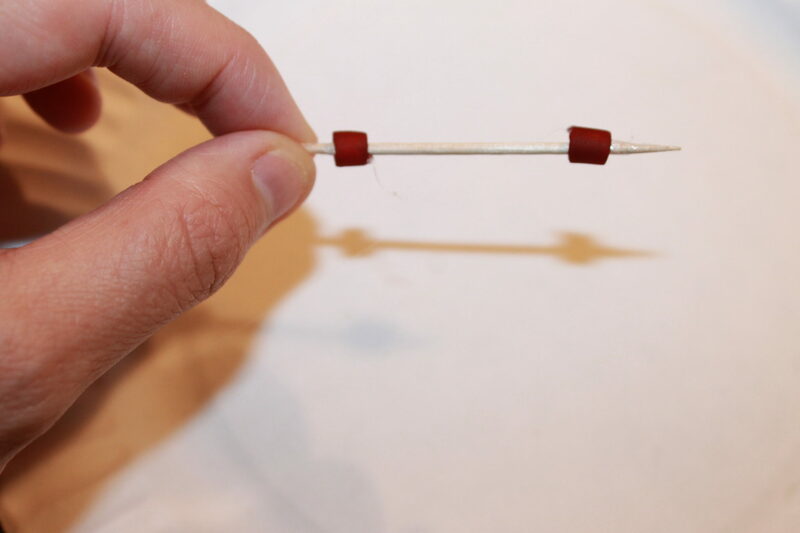 You can just use a dab of glue, instead of a bead, on either end. This will keep the button from sliding around. 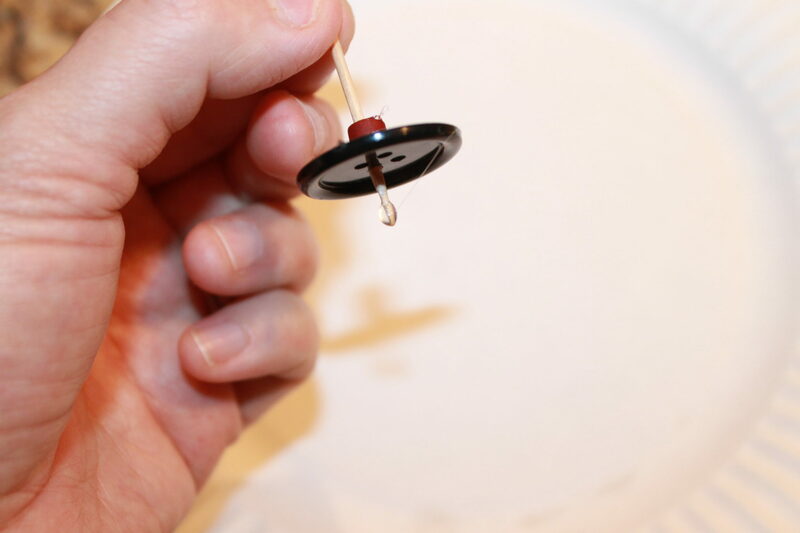 Slide in a button on each side & put a dab of hot glue on the end to keep the button from sliding off. Do not glue the button though, let it spin loose. Repeat with another toothpick. 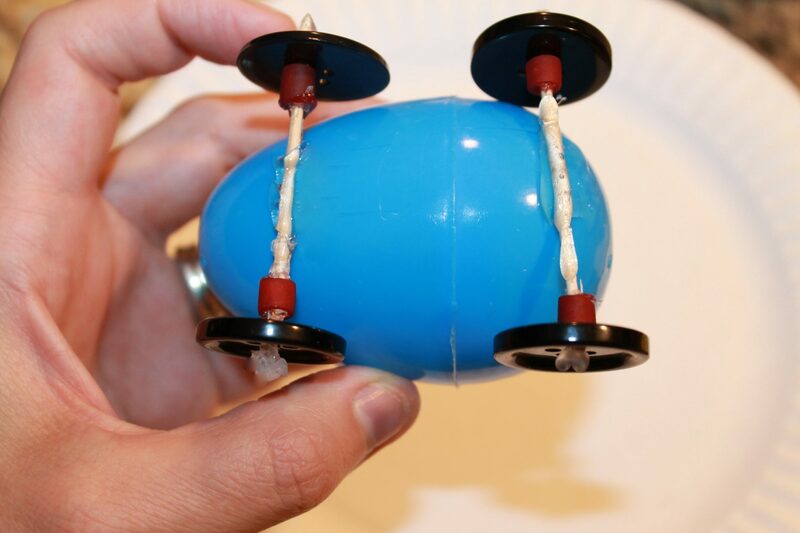 Glue both sets of button wheels to the bottom of the plastic egg. Let the glue dry. My daughter could not wait to get her hands on these. 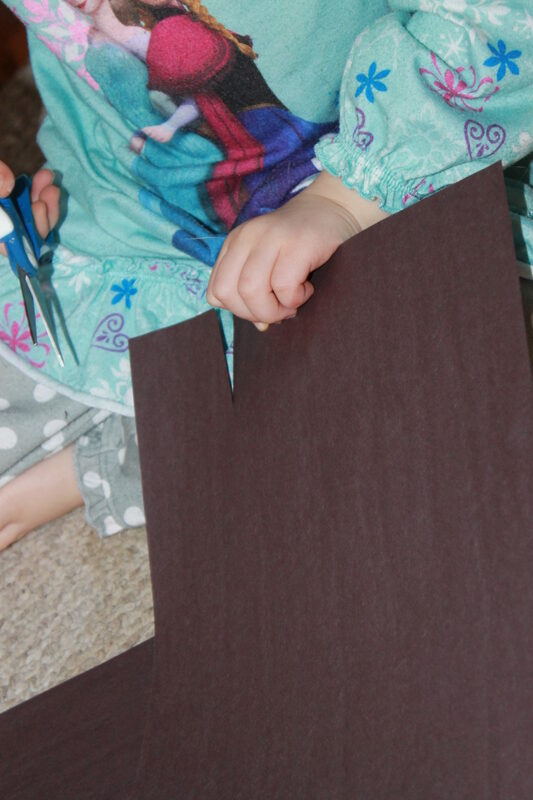 She quickly started cutting up paper to make roads & I jumped in to help. We used chalk to draw the street lines. 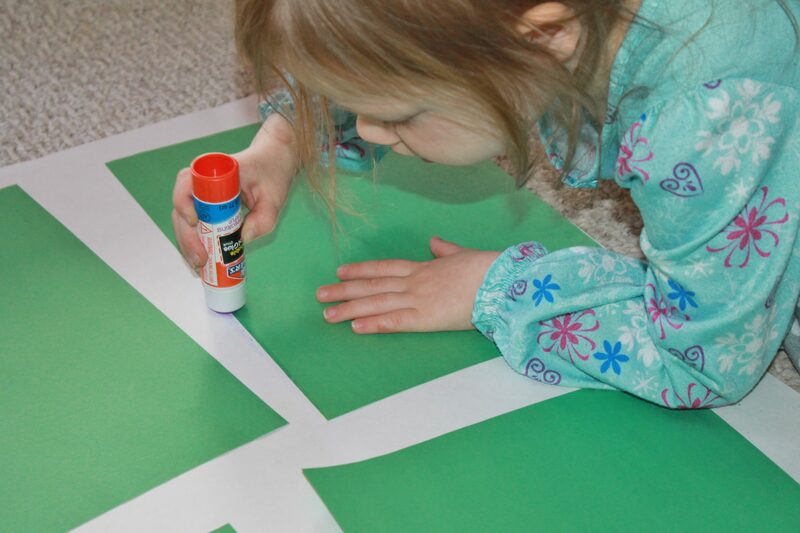 We glued paper down for the grass around the roads too. 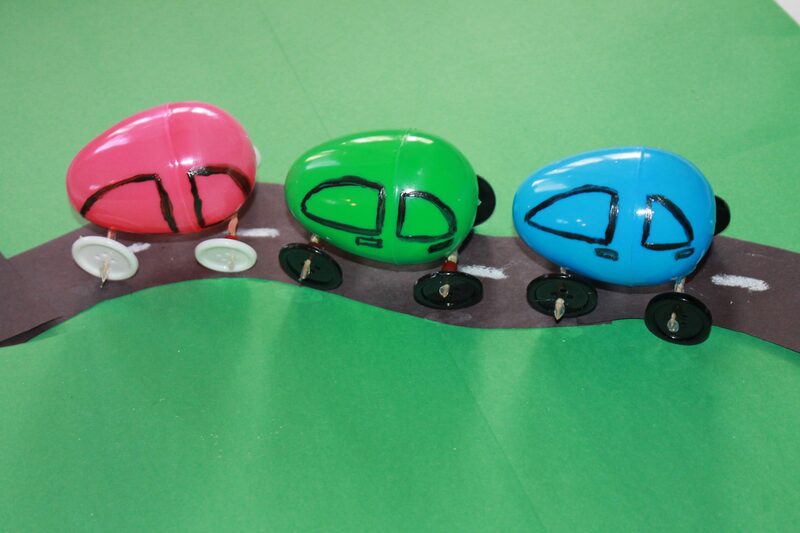 My daughter wanted to have races with our cars. 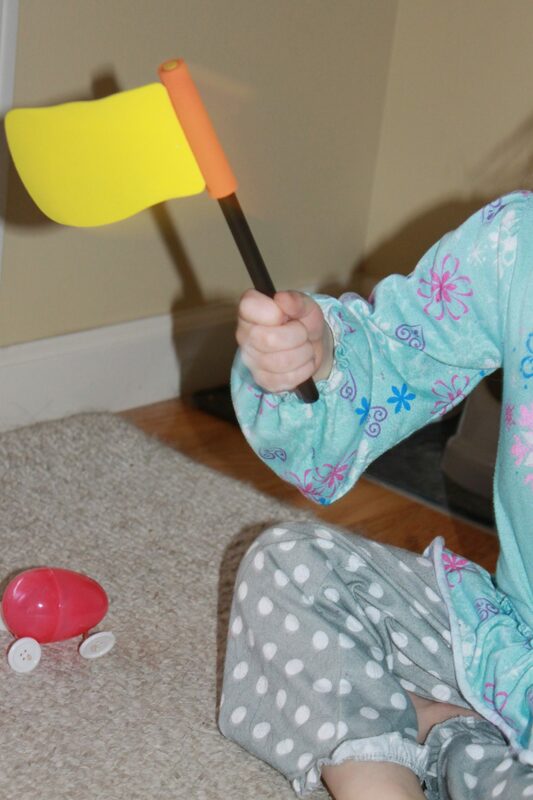 For some reason, she always won & she waved her victory flag every time. 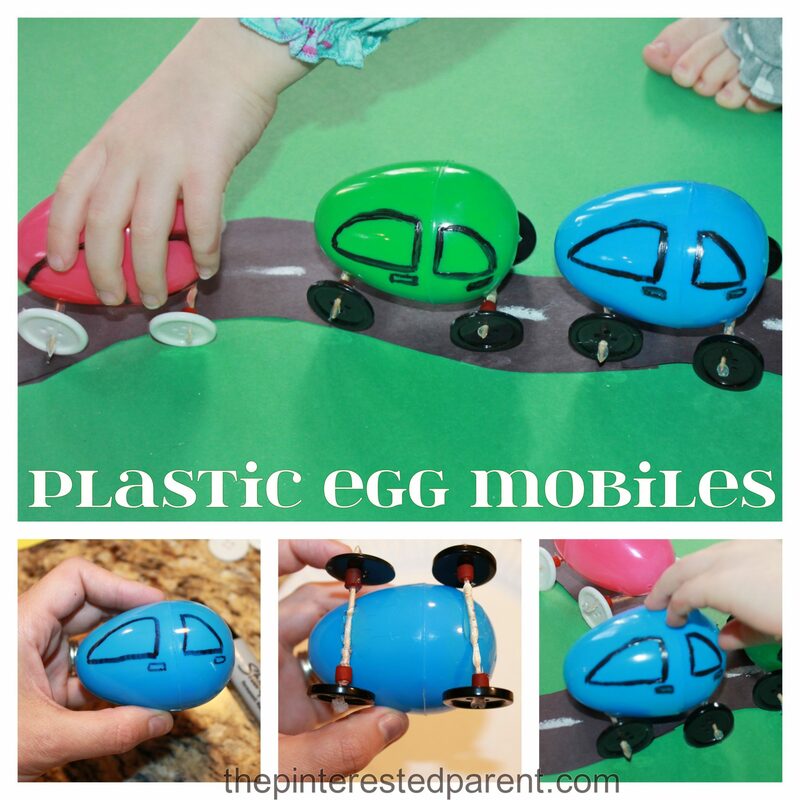 Our little egg mobiles turned into a fun project day as she wanted to add in houses & schools and make a whole city to go with our cars. 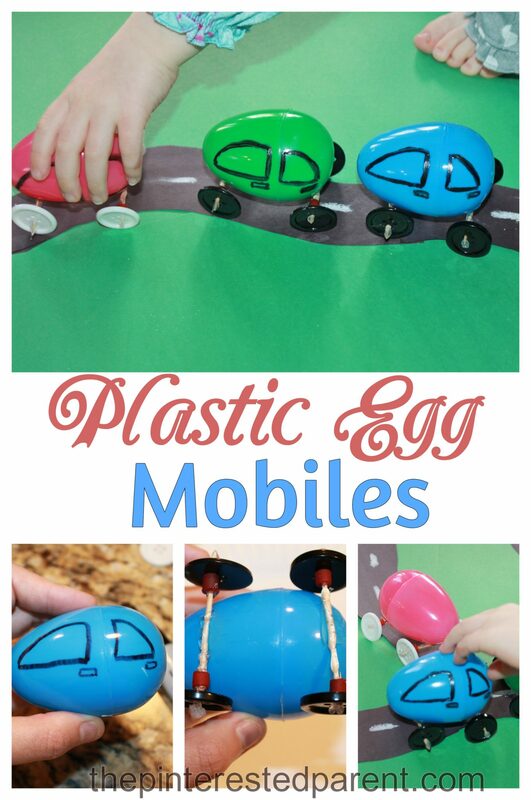 What an ingenious idea and seriously never would have thought to use plastic eggs for this!! Thanks Janine. This was a big hit with the little.